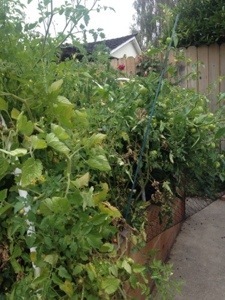 The garden is GROWING out of control! I love gardening. 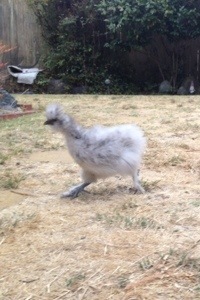 Each morning I roll out of bed, feed the dogs, take them out to do their business then let the chicks out. I then take about 20 minutes to observe what is growing in my garden. I scaled back from my normal 12 dozen tomatoe plants to only have 6 this year. 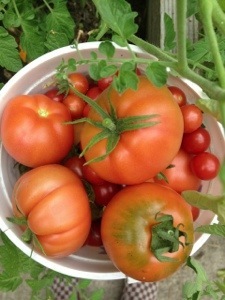 I have hundreds of green tomatoes, each day a few turn red. Everyday I find something ripe, something I had not noticed the day before. 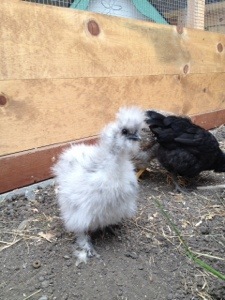 With the addition of the chickens, I’m intrigued by their crazy antics too. I also have 3 zucchini plants that continue to produce lovely green beauties. An easy recipe to use both tomatoes and zucchini is to make a gratin. 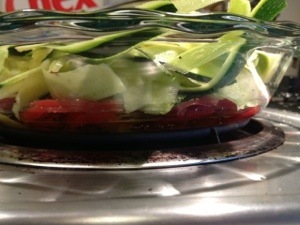 I slice tomatoes and zucchini into round slices. 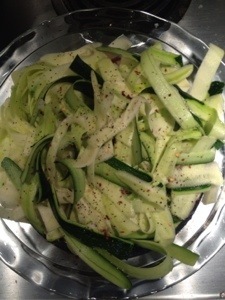 I alternate layers tomato, then zukes, drizzle EVOO, salt and pepper, crushed garlic if you prefer. Sprinkle mozarella on top and bake at 350 degrees for 30 minutes. The flavors meld together and voila! Delicious! 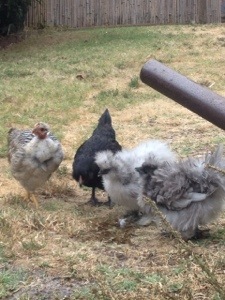 Here are a few pictures of the garden and chicks…whom are so much fun! 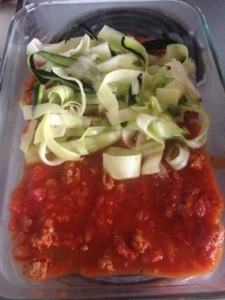 I also shredded zucchini and made lasagne using the zukes for noodles. So yummy, and gluten-free!! 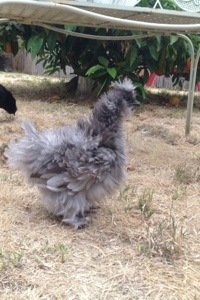 This entry was posted in Gluten Free, growing, My Home, Personal dialogue for a happy life and tagged chickens, Cooking, heathy eating, Organic gardening on August 2, 2013 by amybailey aka knitsakes.